dB Wall Soundproofing London offer solutions that are designed to reduce airborne sound transferring between rooms through separating walls. If you live in a flat, terraced or semi-detached houses, then you may be susceptible to noise as low as a television, or general conversation. These noises are simple to reduce. You don’t have to compromise on living space if you want to soundproof a room. 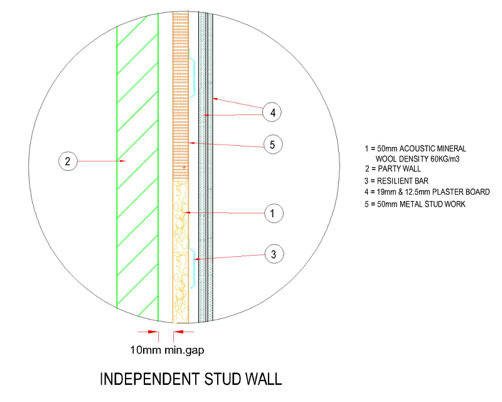 By applying soundproofing panels directly onto a wall you will only reduce living space in the room by up to 50mm. If you are looking for a solution to reduce unwanted domestic sounds without loosing valuable living space this type of soundproofing is suitable for use in even the smallest rooms of your home. Insert RW3 50mm acoustic wool. 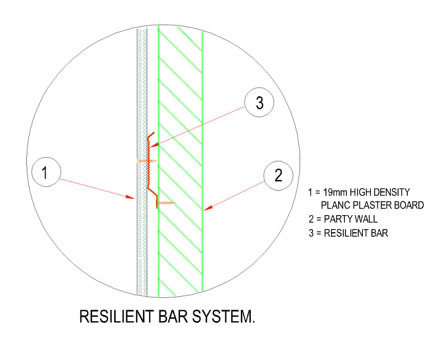 Fit resilient bar with 1st layer of 19mm high density plank plasterboard. 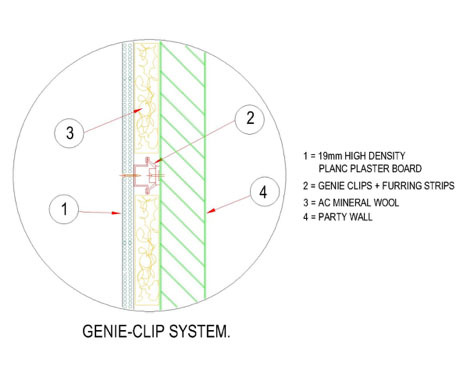 All gaps will be filled with acoustic & fire rated mastic which will form an air tight barrier. A final layer of 12.5mm acoustic plasterboard will then be added. This system will reduce the room size by approximately 107mm. 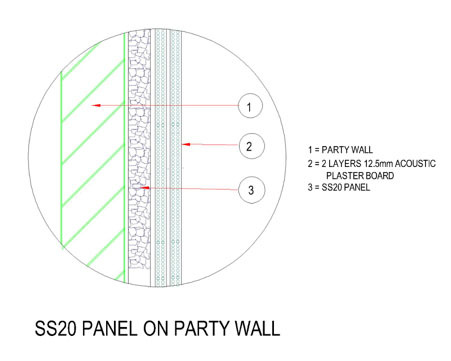 Install SS20 panels to the wall. Seal all gaps with acoustic & fire rated mastic. This system will reduce the room size by approximately 45mm. This system will reduce the room size by approximately 35mm.